After numerous rumors, in an unprecedented move it is now officially confirmed that JEE Main and NEET will be conducted twice a year by National Testing Agency (NTA) from this year onwards. 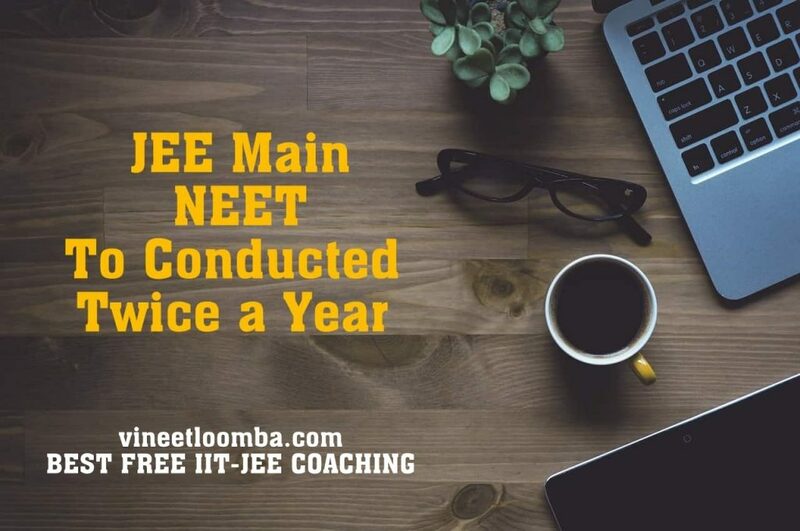 JEE Main 2019 will be conducted in January and April whereas NEET 2019 will be conducted in February and May. It is to be noted that JEE Main will now be completely online. Also this will have no impact on JEE Advanced. The level of difficulty and syllabus will remain the same. The Registrations for JEE Main and NEET is expected to start in October 2018. This move will definitely help students to improve their performance and give their best. The best of two scores will be taken. More Details will be updated here. I am not an Indian but I realy like what you are doing. Because it helped me to achieve a good result. I recomend you to keep using English, in norder to help us benefit more.